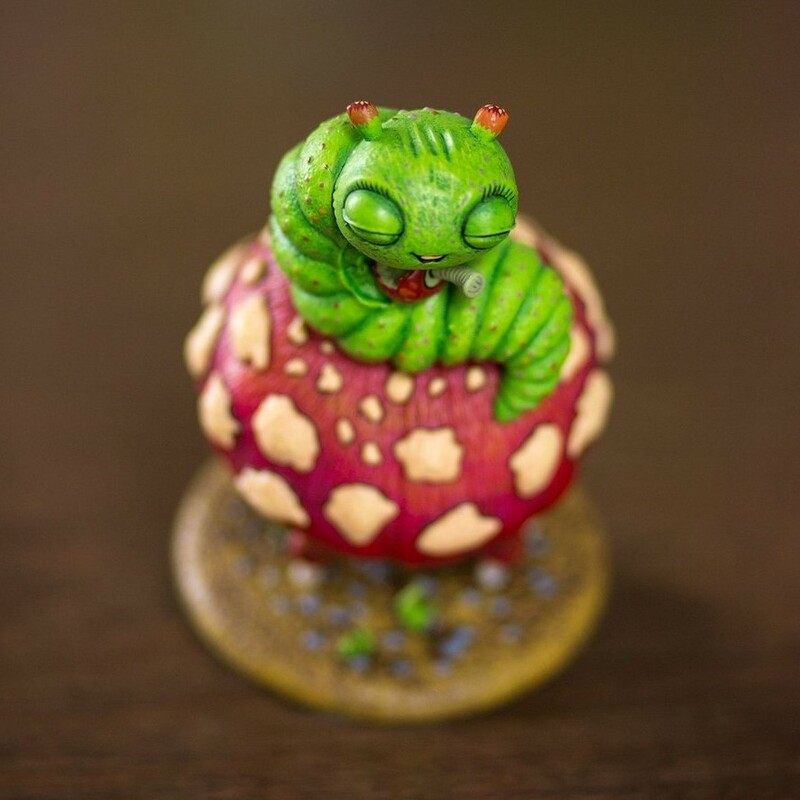 The Baby Blissed Out Bug by Marq Spusta is a 6” tall resin statue that will come packaged in a hand numbered box. Limited to 515 pieces, this limited edition collectible will go on sale at 12pm EST tomorrow, Friday, February 9th, at the Bottleneck Gallery online store for $115. Even better still, each finely detailed statue will include a mystery 5”x7” Spusta mini print that will continue the story of the Blissed Out Bug.